Having completed his dream move to Barcelona from Liverpool in January of last year after months of complicated negotiations, the world seemed to be at Philippe Coutinho’s feet. The 26-year-old had dazzled for six seasons in the Premier League with The Reds, cementing his reputation as not only one of the best attacking midfielders in the league but indeed one of the premier creators anywhere in the world. Possessing peed, technicality, close control and a blistering shot with unerring accuracy, the Brazilian international is almost a complete midfielder and it was believed he would take his game to an even higher level at Barcelona owing to the numerous world class players at the Nou Camp. 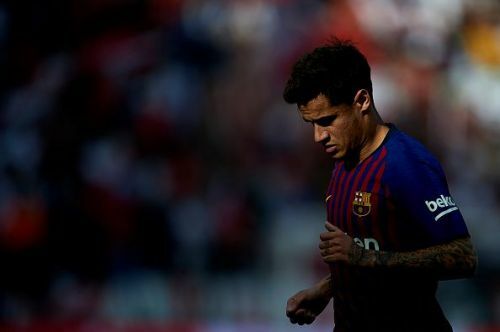 There are usually three main reasons why regulars at a football club seek a transfer viz – for better pay, to win trophies and to improve their game and while the first two have been achieved by Coutinho, it is in the latter category where he finds himself struggling. It all started so brightly for the Barcelona number 7 – heralded as the long-term successor to Andres Iniesta, he became a mainstay in the first team, contributing his quota to help the club win the double in his first half-season with the club (although he was powerless to stop their capitulation in the UCL as he was cup-tied with Liverpool). With Iniesta departing the club last summer, this season was seen as the one in which Coutinho would fully settle in at the club and help the Blaugrana launch their assault on three fronts this season. However, it has not gone to plan for the former Liverpool man, as he finds himself currently struggling for form and out of Ernesto Valverde’s first team plans. His last league goal for the club came when he opened the scoring in the 5-1 drubbing of Real Madrid in the El Clasico way back in October, while his last assist came in the middle of January and his poor form has led to rumors indicating that he is interested in a move away from the Nou Camp. 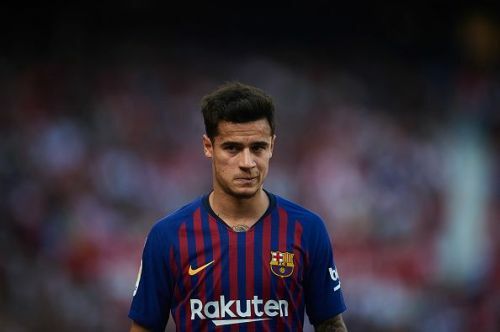 While holistic reasons have been given as to why he is struggling at the moment, it is imperative that Coutinho gets back into form and justify the club record fee expended to get his services. In this piece, we shall be highlighting five factors which could help bring out the best of Coutinho once again. A change in formation can help Coutinho's cause. Coutinho is an explosive ball-carrying midfielder who performs at his best either out wide on the left flank or operating through the middle of the park. At the start of the season, Ernesto Valverde utilized a 4-4-2 formation, deploying Luis Suarez and Lionel Messi in a two-man attack, with Coutinho occupying the space in behind them, but that has changed in recent months. A resurgence in form saw Ousmane Dembele restored back to the starting 11, with Coutinho dropping out in his place, as Valverde resorted back to a 4-3-3 to accommodate the Frenchman alongside Messi and Suarez in attack. For as long as Barcelona continue to deploy the 4-3-3 formation, it might be difficult for Coutinho to regain his place in the starting 11 unless it is at the expense of Ousmane Dembele (who it must be said has not maintained the form which saw him win over his critics earlier in the season). An alternative would be to utilize a 4-2-1-3, with Coutinho being the ‘one’ as the playmaker in behind the front three, or Lionel Messi (who is vastly superior as a playmaker dropping deep while Coutinho takes his spot on the left). However, a drawback to this is that it would have to see Valverde sacrifice one of his three midfielders in a bid to accommodate his attacking quartet. A change in formation would see Coutinho restored to the starting 11 and the extended run of games could help boost his confidence, conversely bringing out the best in him.